Windows 10 knows that your time is valuable and that you need to save time and that is why it incorporates new keyboard shortcuts along with those already known in previous versions. This will mean forgetting a little more about the mouse and having control practically on the keys. If you want to save time and effort when working on your computer, we’ll show you a collection of useful shortcuts for Windows 10. With these shortcuts you can manage the active windows by placing them in a custom position on the screen, fitting the window in a particular position. 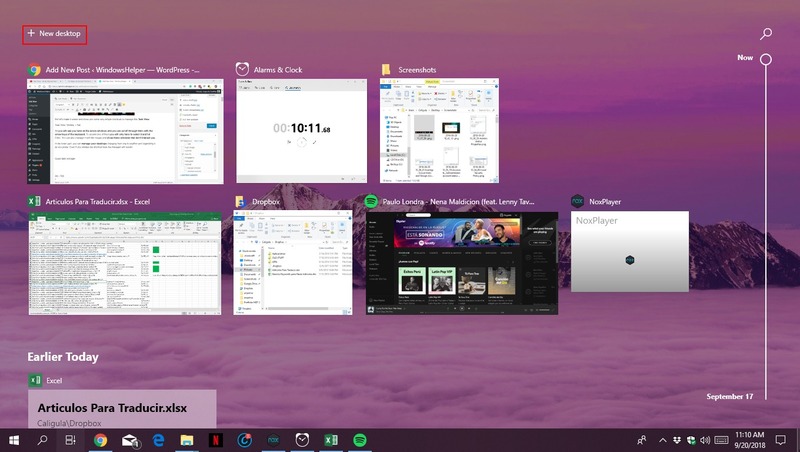 Note: You can also drag the windows by holding down one and dragging to the position you need by adjusting the remaining space with another window that you have open. Here we are going to see the window manager of Windows 10 from which all the windows active appear and which you can place, move or activate as we wish. This Task VIew is in an icon at the bottom of your desktop through which you can click. But let’s make it easier and show you some very simple shortcuts to manage this Task View. As you will see, you have all the active windows, and you can scroll through them with the arrow keys of the keyboard. To access one of them, you will only have to select it and hit Enter. You can also manage it with the mouse and close those windows that don’t interest you. At the top, you can create new desktops changing from one to another and organizing it as you prefer. This shortcut is like the Task View but much faster. To move between the windows, press the Tab key on one of the windows, release it and it will open. It can be used in all virtual desktops. One of the most innovative and useful features are Windows virtual desktops, you can have as many desktops as our PC memory support, and in them, you can separate the number of applications you have open as if it were multiple monitors. The best thing of all is that the documents, files and applications in your primary desktop will be able to be visualized in the virtual desktops. Thus we will have everything available no matter where we are. With these shortcuts, you can also manage the virtual desktops. This is very useful when you have many windows and different tasks open. Another of the new features of Windows 10, your personal assistant Cortana, which will help you with reminders, answer messages, find locations and more. If you haven’t yet configured it, take a look at these shortcuts to speed up some tasks. Remember that if you don’t like it, you can disable it . In the upper part of the window, right click and select Properties. In the next window check if you have checked the box Enable Ctrl key shortcuts. 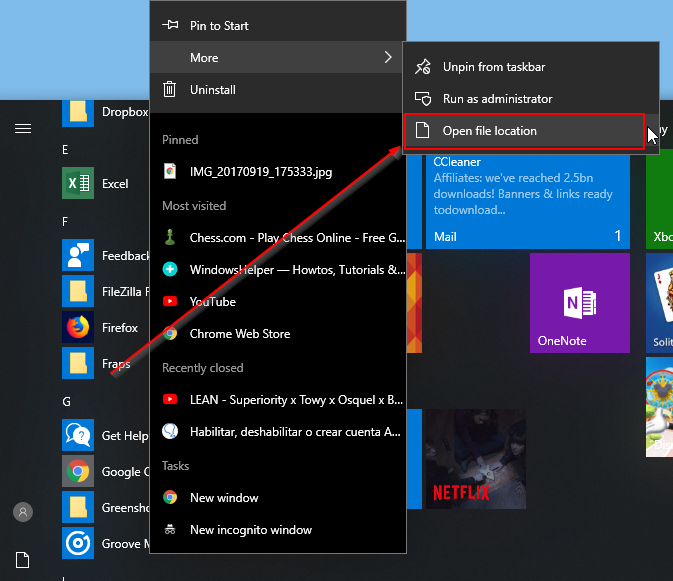 Then click OK.
You also have access to Windows 10 settings features , from opening the application, the action center, contextual context menu that allows us to reach options such as the command prompt, run, control panel, etc. 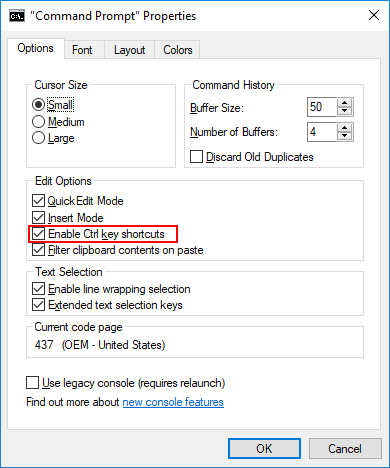 You already have learned some new keyboard shortcuts for Windows 10; now we will see how to create custom keyboard shortcuts that will undoubtedly maximize your productivity in any activity. The process for this is much more straightforward than it seems and today we will see how to do it in Windows 10. 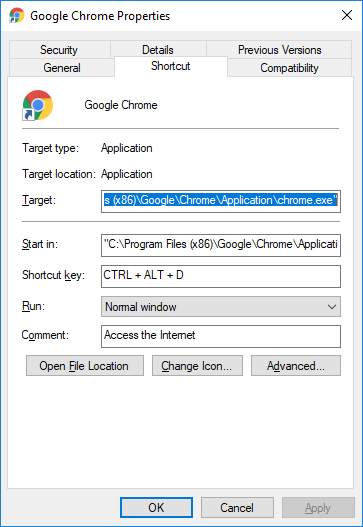 Right click on the Google Chrome shortcut and select the option Properties. There you must specify in the Shortcut Key field, some key combination that you wish to access the Chrome browser in this case. For this, it is enough to press the respective keys and they will automatically be reflected. We will see that the browser opens easily and quickly. As easy as that, you can create keyboard shortcuts to your programs or applications in a simple way and thus access them much faster.